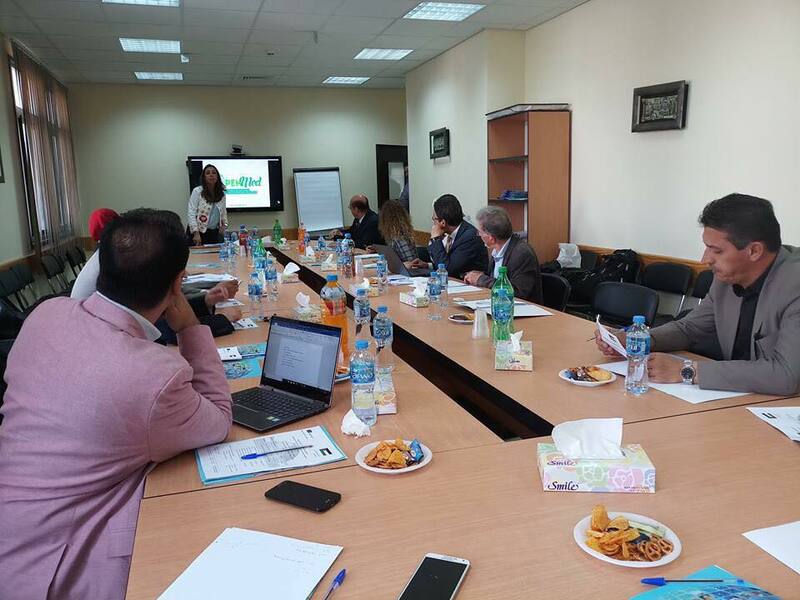 The Cluster meeting was held on May 3rd, 2018 at the Ministry of Education and Higher Education in Ramallah, and organised by the National Erasmus+ Office. The aim of the Cluster Meeting was to share common practices and knowledge, and encourage synergies among Tempus and CBHE projects, in order to contribute improving the impact of the programme in Palestine. The thematic area of the cluster was the public-private partnerships and the contribution of the private sector in Higher Education curricula development. OpenMed was presented by Rania Qasim (Birzeit University), focusing on the project progress and results so far, and on the project works realised by the members of the OpenMed learning circle at BZU, as a result of our training of trainers course. The showcased project works consists on the enhancement of the course on Financial Analysis by means of collaboration with the Palestinian Islamic Bank and co-production of course contents with a subject matter expert from the private sector, including students’ field visits to the Islamic Bank. We are grateful to the National Erasmus+ Office in Palestine for inviting OpenMed to the Cluster Meeting, and for leading to a very good discussion.